This was our fourth time at the Rembrandt, we love it and would not stay anywhere else in London. The location is excellent. 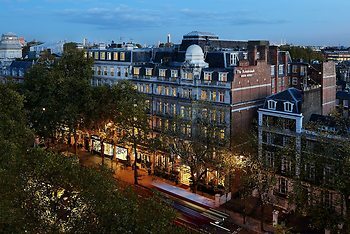 The hotel is very close to major attractions and the nearest metro station (South Kensington) is great for those arriving or leaving at Heathrow or Gatwick (this via the Gatwick Express train), and it boasts three lines (Piccadilly, District and Circle ). To eat, you have several options close by. The hotel certainly looked better in reality than in pictures. It is usually the opposite. I got an upgrade to a room with a jacuzzi and the room was really nice, clean and had everything we needed. Giant central location. Will be happy to book a room at Rembrandt next time I go to London. It was very central and in a very nice area. Every thing we wanted. A very pleasurable experience....would look forward to another visit. Excellent staff & service.